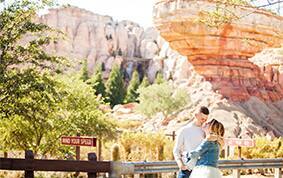 Coming back to Disney to celebrate an anniversary is something we love almost just as much as planning a couple's Disney's Fairy Tale Wedding. 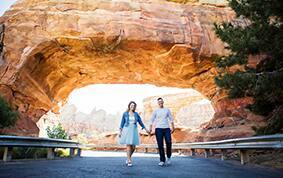 For Jesse and Avery, that is exactly how their love story played out. 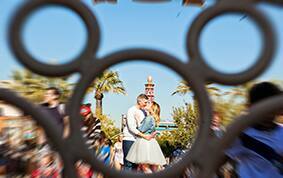 After celebrating a perfectly intimate wedding ceremony at Walt Disney World's Sea Breeze Point, the love birds decided to take turns planning their anniversaries. Avery was tasked with dreaming up the adventure for their first anniversary, so she creatively planned a scavenger hunt for her Navy husband. 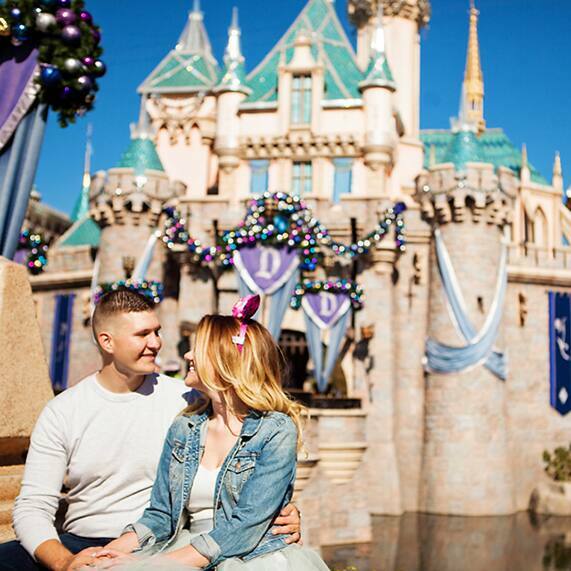 Needless to say the puzzle led to an epic surprise trip to Disneyland, and for these first-timers their Disney trip did not end there. 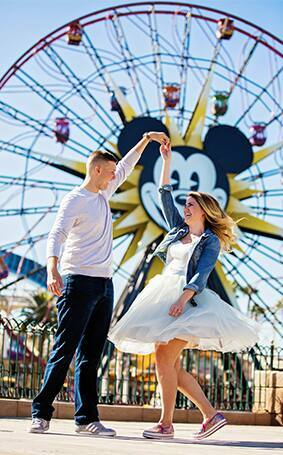 Avery surprised Jesse with plans to participate in the runDisney Avengers Gauntlet Challenge and also arranged for anniversary photos to be taken around the park. 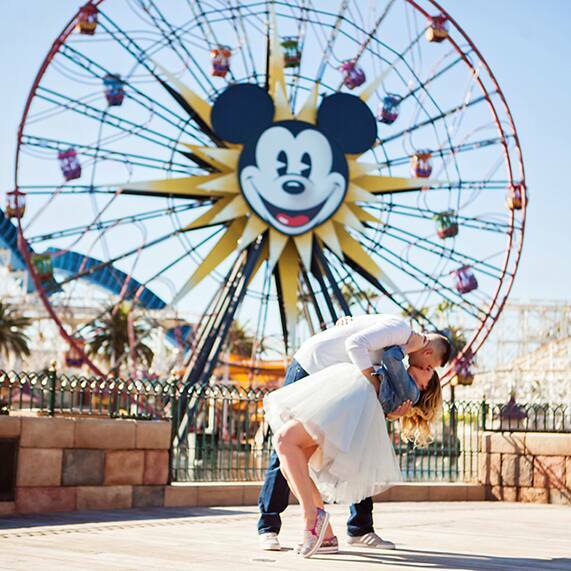 As you can see, the portrait session around Disneyland and Disney California Adventure Park went beautifully and the couple described their anniversary weekend as the ultimate anniversary celebration. 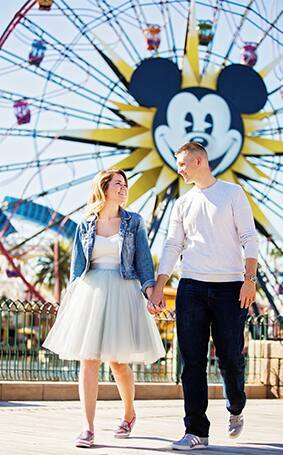 The runDisney enthusiasts also left the trip with coast-to-coast medals and memories to last a lifetime.